We tried out a few new things today. First we went for coffee to Halfmoon Bay, where we had not been before. Then we went into Buccaneer Bay and took a long stroll on the sandy beach on North Thormanby Island. As the weather turned rainy again, we came back into Secret Cove for the night. We enjoyed a very quiet night in the Jedediahs and walked the main island this morning. Later we came to Secret Cove, which does not seem so secret anymore: the shores are solid rows of summer cottages, many with docks, and there are quite a few boats as well. But, there also is a gas station where we can fill the dinghy tanks and a restaurant we want to try. 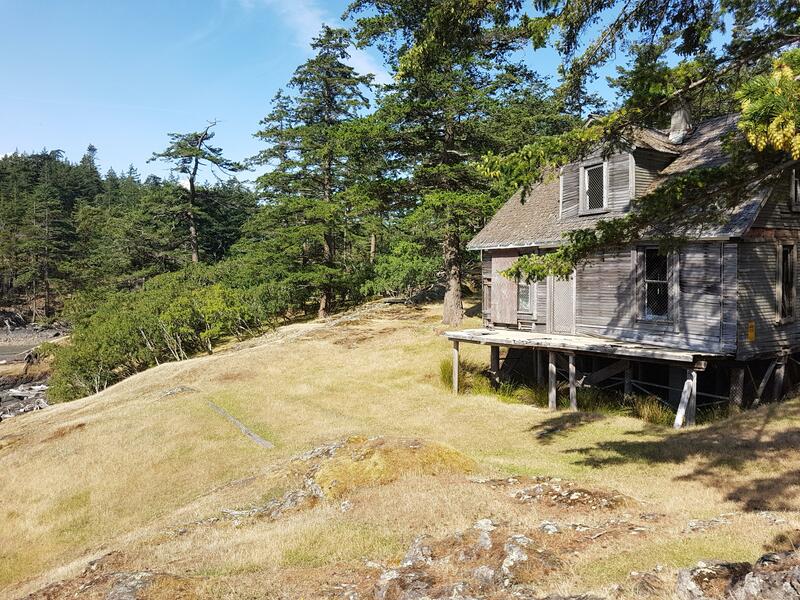 The picture is of the old Palmer homestead on Jedediah Island. 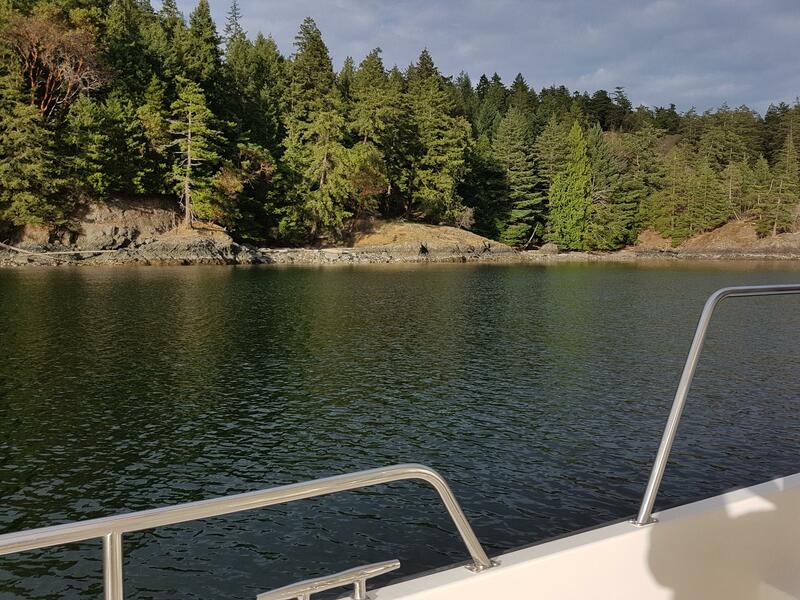 After a couple of busy days in Pender Harbour, Sheila and I are now enjoying a quiet evening at anchor in the Jedediah Islands (and hope of course that the night will be even quieter!). The weather is slowly improving and hopefully in a few days it will feel like summer again. We are on Ancient Murrelet in Pender Harbour, enjoying the very nice Painted Boat Resort. Tonight we are going to the resort restaurant with friends from church in Vancouver, tomorrow we are meeting Sheila’s cousin and her family for lunch at a local pub. The weather is still a bit mixed, but the jacuzzi is nice and warm.